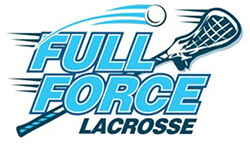 Body Zone has partnered with Full Force Lacrosse to provide girl’s lacrosse clinics for grades 3-12. All levels and abilities will be encompassed in these clinics that consist of four-week sessions. Designed to teach and develop the fundamental skills of lacrosse in a fun and educational atmosphere, group clinics allow for more game-like practice and development, but are designed to provide more personal attention during the lesson as well. In these clinics, girls in 3rd-12th grade will work on skills such as: stick work, dodging, shooting, positioning, as well as basic offensive and defensive strategies. Girls will be separated in age groups of 3rd-5th grade, 6th-8th grade and 9th-12th grade to focus on appropriate skill development for each age group. Step up your game by learning from the best at Body Zone with Claudia Ovchinnikoff. This four-week clinic is designed to teach and develop the fundamental skills of the game in a fun and educational atmosphere. Proper equipment is required (girls lacrosse stick, goggles, and mouthguard). A limited number of sticks and goggles are available to borrow. Contact Claudia to reserve one. This four-week clinic is designed to improve the fundamental skills of the game as well as offensive/defensive concepts and game time strategies. Proper equipment is required (lacrosse stick, goggles, and mouthguard). Please check back for future clinic information. Claudia attended Temple University and was a four-year starter on their Women’s Lacrosse Team. She has an amazing record from her four years there where she was named NCAA Division I Offensive Player of the Year. 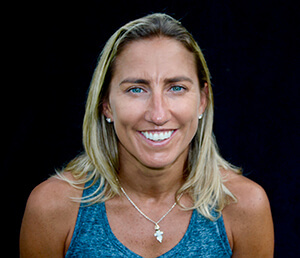 Claudia is currently the Head Varsity Girls Lacrosse Coach at Lampeter-Strasburg High School in Lancaster, PA, and is a US Lacrosse level 3 certified coach. She is a three-time 1st Team All-American, and was named one of 80 Lacrosse Legends by the Women’s Professional Lacrosse League. She was also an Assistant Women’s Lacrosse Coach at The University of North Carolina at Chapel Hill and is a 2018 Inductee of the Temple University Athletics Hall of Fame. Claudia is the owner of Full Force Lacrosse and is a former member of the United States Elite Women’s Lacrosse Team.